Okay, we’ve covered immunity and good gut flora to help fight adrenal fatigue, so let’s get to sleep solutions and the importance of trace minerals. Now, I am not a doctor, I can’t diagnose anyone or anything, but I will continue to share what we do in these situations. Sound good? Like I mentioned in the last post, the kiwi was showing signs of adrenal fatigue. We figured it had to be from other life stressors since his training and recovery days were balanced. Cortisol is suppose to be high in the morning (to give us energy) and taper off at night (so we can sleep). But if you are continually stressed or overtraining, your cortisol will stay high. This can cause some pretty restless nights because your hormones and adrenals are in overdrive. And if your adrenals are working in overdrive from producing too much cortisol, then they need extra vitamin and mineral support in order to keep electrolytes balanced. Just think of this way, in constant stress, your adrenals are being sucked dry. 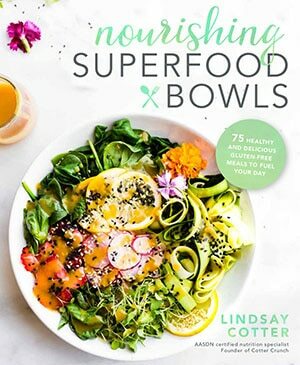 The adrenals cannot continue to produce the needed minerals and hormones without support, therefore the body feels tired and depleted, because it is. This is why good SLEEP and Natural SALT (sea salt with trace minerals like sodium, magnesium, iodine, etc.) are needed to RESTORE those adrenals. To bring them back to life! To FEED them! Extra sleep can help lower cortisol, getting your body out of the “adrenal resistance” stage. Well, seeing that the Kiwi was having a hard time sleeping to begin with, we had to make a special “sleep solution” to get him to sleep. 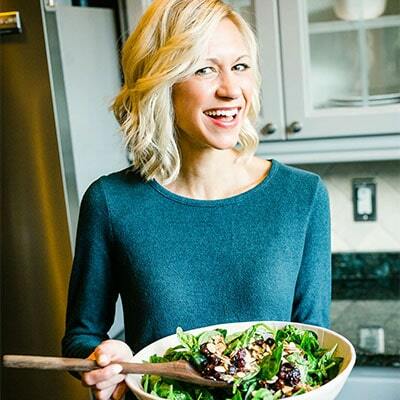 This solution was recommend by Dr. Stacy Sims, our friend and brilliant Sport Dietitian over at OSMO nutrition. You take this drink 30 minutes before bed, and it actually tastes pretty good! Now that we’ve got the sleep solution covered, let’s talk about the salt. We always add sea salt to our meals, but more is definitely needed in this situation (restoring trace minerals as mentioned above). What’s our solution? Simple, 1/2 tsp of sea salt or pink salt in a glass of purified water. Sounds gross, but I add a little lemon and orange juice to it and let the salt drink sit overnight. Then we drink it first thing next morning. I notice a huge difference in energy when we add in our salt drinks. It’s like my adrenals are doing a little happy dance because of the trace minerals being replenished! But warning, too much salt can stimulate digestion, so I wouldn’t recommend drinking too soon before a workout, haha! Well, that’s it for today. 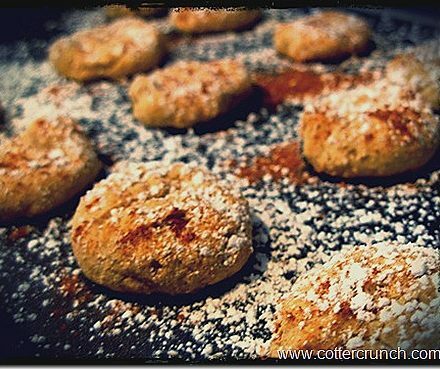 Friday I have a rice cake recipe, which of course will go nicely with our carb intake insulin release talk, right? Do you have any special sleep remedies? 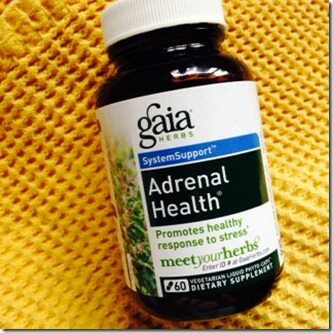 Are you getting your Adrenal Support? 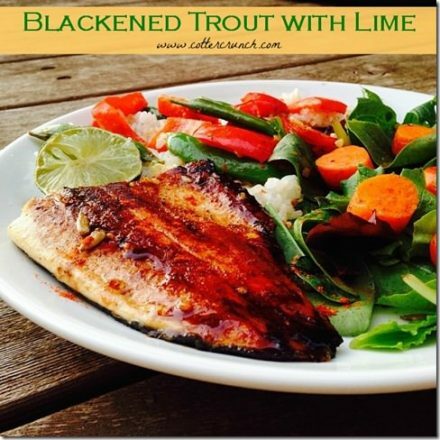 The Importance of DHEA and an Omega-3 Packed Recipe! 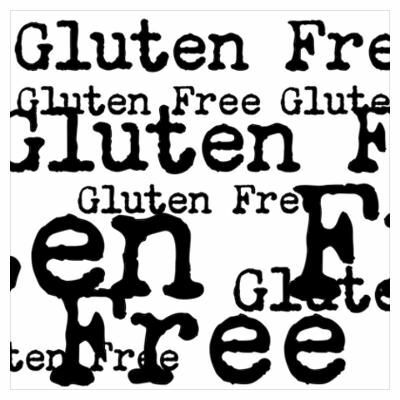 Gluten Free Talk- Health, Wellness, and Fitness. 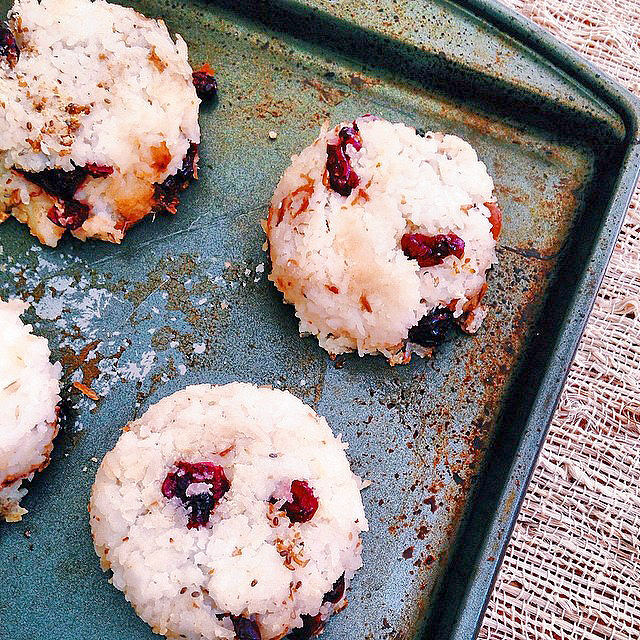 Health Benefits of Holiday Spices PLUS a Naughty & Nice #GF Cookie Recipe to Gift! Good stuff Lindsay! I sleep like a baby and almost always wake up refreshed. Maybe my adrenals are good to go? well that is good. your cortisol is low at night then. Do you have energy when you wake up? 9 times out of 10 yes. How I feel when I wake up is why I love early morning. I often think how great it would be to feel that way all day. Around 3-5? That’s another story. Serious afternoon slump. I’ve always just accepted that as “everyone has a low point during the day.” Now I’m thinking maybe not. More great info that I’m emailing To my hubs as I type! let me know if he tries it! Great post again, my friend. Cherry juice is something that I knew was good before bed for restful sleep- I usually have casein protein before bed with nut butter and it tends to aid a decent slumber! casein protein works like a charm! well, you know my story on this one! 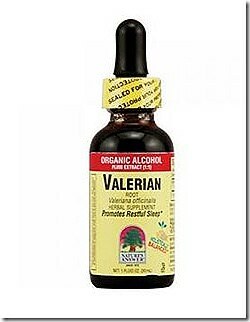 I have always wanted to try valerian. My biggest issue with all of this is the time it takes and consistency needed to go through all the protocols. Even remembering to take the supplements. I am regimented but I get a lot of interruptions and sometimes forget. Or sadly, I am just to tired to be bothered with mixing another concoction. Jeez, I am like the worst patient ever. Nope, but apparently I need to. Lindsay this sounds freakishly similar to what I have been going through, and sleep (well, lack of) is what killing me right now….and you know how my recent race went. I think I need to get a sleepytime solution as I have been relying on melatonin tablets and benadryl, but they often give me nightmares as my mind is running wild. There were a few periods where I was taking valerian before bed every night to help me sleep, but I wish I had thought to make a delicious shake out of it because that stuff doesn’t really taste the best on its own 😆 The salt thing is something that I do regularly (although maybe not that much) and I find it actually gives me more energy sometimes than coffee. Craziness. how much do you add? i think a range from 1/4 to 1 tsp is perfect, but i know some do more. ha! which IM SURE MEANS I need me some sdrenal health check in too. adrenal check, yes, always needed for mamas! I am loving this discussion! I have pink sea salt I use all the time. And cherry juice. With me I suspect hormonal imbalance due to age 🙁 rather than adrenal fatigue. I actually always add salt to my food because I have orthostatic hypotension and it has helped a LOT! I normally have low blood sugar as well, so salting all my food is important for me. So many people are afraid to use salt! i think our health care system has things backwards these days, oh geeze! glad you are taking care of yourself though! or cherries in general. with a little protein. let me know if it helps! yum! I can’t wait to get some cherry juice! Sleep is such a big issue right now! I’m shocked at just how many people are willing to do just about anything to get a decent nights rest! Tart cherry juice it is. WHen I’m desperate, I take zzzzz sleep. Yes! I think casein would be even better. If you can handle casein that is. I love you bro, but I cannot imagine drinking all the salt. LOL! great post. 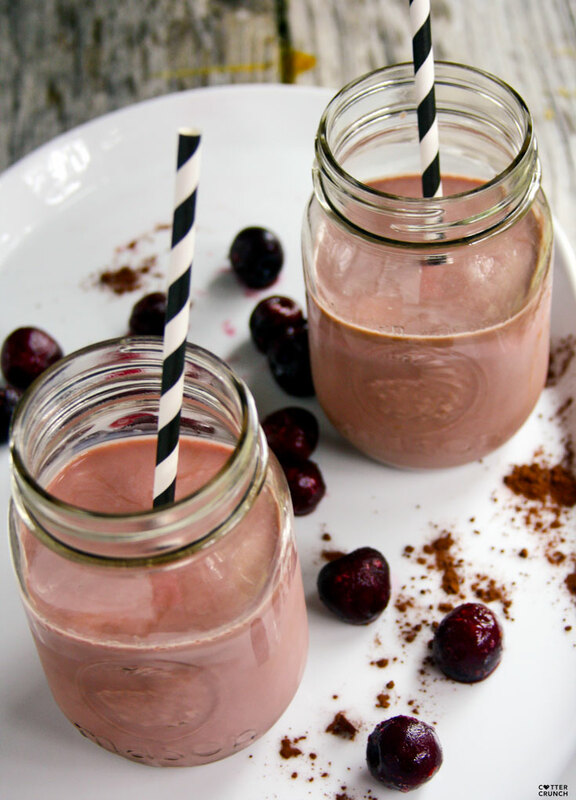 i love me some tart cherry juice, so i can’t wait to try this shake! Sleep is not a problem for me…it’s my stinking alarm that wakes me up too early every morning! I will need to try your cherry drink. It sounds delicious and I do need help relaxing at night. Oh wow what great info!! I sleep so well since I am a baby – such a blessing. But I love the advice about the salt – need to try that!! Thanks for sharing! I always have trouble falling asleep! Love these informative posts my friend! I have NOT been sleeping well lately… waking up in the middle of the night a lot and not sleeping enough on the weekends. I can feel it starting to take a toll on me, at least physically. I haven’t tried anything, but I used to take melatonin – maybe I should start again. My hubby really needs this. He’s been drained tired lately. I’ll need to try this. Thank you for all of the information! Looks great! I’m enjoying this series! I drink Tart Cherry every night before bed and sometimes drink Valerian Tea. I also take Holly Basil and Magnesium L-Threonate- both help relax the nervous system. I’ll have to try the Valerian drops! All such interesting posts!! I am coming back later to read again!!! Thank you for all of this! Fascinating stuff! I sleep pretty well, especially cuddled up with my giant pregnancy pillow. Maybe my adrenals are doing okay? So excited to try this and share with my hubs! Seriously, I have off and on again sleep issues, and he travels for work and is jet lag a lot of the time so I’ll be making this asap! do it! haha, actually i bet you could make something scrumptious with it! This is all super interesting! My sleep these days hasn’t been all that good, so I’ll have to talk to the doctor about Valerian. Not sure if it’s pregnancy safe or not, but I’m certainly intrigued. My sleep is awful – I rarely sleep more than 2 hours in any given stretch. Maybe I should try the sleep solution!!! I’m so glad you are doing a series on this–I think far too many athletes have adrenal fatigue and have no idea. Great solutions here for all of us! how much are you adding? i could NOT get to sleep last night. i try to drink sleepytime tea and take a melatonin if i’m totally backed up on sleep. have to try the overnight salt drink! I had no idea tart cherry juice helped to promote sleep. I’ve been taking magnesium at night. I find that’s been helping but even with that, the last few nights I’ve still had a pretty restless sleep. I may give the cherry juice a go. Thanks for the tips! Is this cherry drink safe to feed my son? 🙂 If he would sleep all night then I could too! I didn’t know that about cherries, maybe we’ll start having a cherry snack before bed. I love Tart cherry juice!! It’s a great source of potassium so great for muscle recovery as well after long runs!! I had problems with adrenal fatigue, and understand the importance of keeping our adrenals healthy!! There so much function in these little glands, and we often times to realize how important they are to our overall health!! Great post! I definitely suffer from adrenal fatigue and honestly, never knew there was anything I could do about it except lower my stress and increase my sleep. I’m looking forward to experimenting and seeing how different I feel. OMG this is … I NEEDED this. So cortisol (stress) effects electrolytes too! Mindblowing. When my kidneys were trying to kill me my sodium dropped to a critical level (re: lethal) and that was a MESS. Before he demanded I get a ride to the hospital my DR told me to go in the kitchen and immediately take THREE TABLESPOONS OF SALT. Later he told me he didn’t think I’d actually do it. I love that man. My point? Your salty drink and stress relief sound so much better. And who knew cherry increases seratonin? your doc is so right! hope you are better now. Email me! what’s going on? Health wise? This is something that really interests me right now! I have a hard time with stress and being able to sleep well at night due to it. I am really trying to get this under control. Great post friend! I swear you are in my head this week! I was cutting back on salt (water retention…ugh) and drinking TONS because I was so thirsty for the past couple weeks. Then, last night I was reading about hyponutremia and I don’t think I have it, but I can see that I was drinking too much and not replenishing my salt stores, so I’ve been putting extra salt on everything. Good thing I LOVE salt. That freshly ground peanut butter I bought yesterday, which I normally eat saltless, got a hefty dose of salt and then? Capella bacon extract. Yes, I did. I sure did. I go through phases of not sleeping well and high stress and haven’t been sleeping well lately and thought it was my double workouts with working out in the afternoon evening. I use to drink tart cherry smoothies often and cherry juice at night I will have to try that again and the salt. I also use to drink salt water but stopped as I was feeling like I was retaining water. Will be adding salt to my lemon water in the morning! Yes! As things change I often forget things I use to do or don’t connect them. I use to just do plain cherry juice at night. Or add tart cherries to post workout smoothies. For salt I was using Pink Himalayan Sea Salt add to warm water. I think I would like it much better with lemon. Not sure why I never tried that but I have my lemon and salt on the counter now and will make it before bed! Thank you! I will keep you posted! Such a helpful post! I’m going to look for those adrenal support supplements. Something I’m sure I could use. I’ve been eating cherries every night! I had no idea they helped with sleep. Good to know! how interesting ! you are so smart and i always learn from yoU! SO interesting! I’m especially intrigued by the sea salt mix. I work with cardiac and pulmonary patients so I’m always preaching NO SALT. I sometimes forget that I need it just because I’m such a heavy sweater when I workout and I need to replenish my minerals. Makes complete sense! well i think it depends on the type of salt, yes? table salt is definitely a no no. 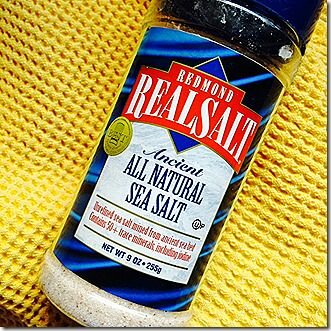 But the trace minerals in REAL sea salt is crucial for us. Ya know? For some of our patients, particularly those with CHF, we teach no salt or very low salt, even sea salt. Their bodies retain it all and it leads to bigger problems. 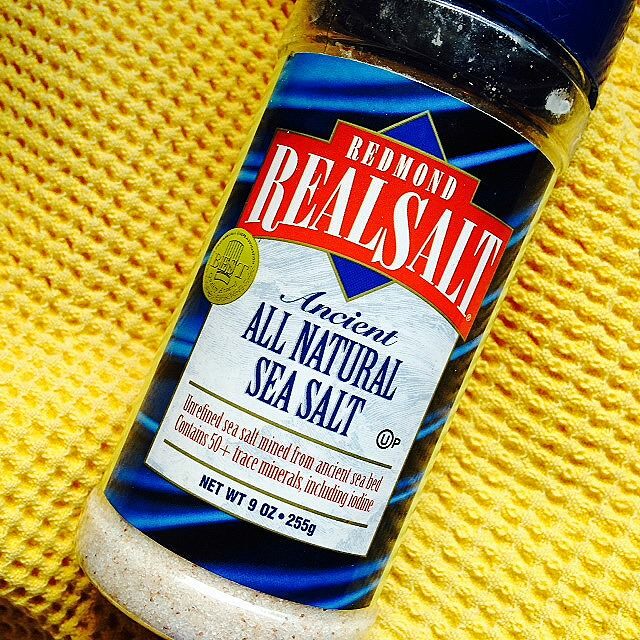 But definitely for the healthy individual, real sea salt is best. Yes, totally makes sense. Thanks for sharing too. 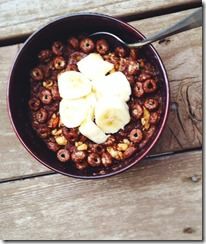 I LOVE that sleep solution recipe- saving it to share with some of my clients. I’m always looking for natural ways to help them sleep more (lavendar oil is a favorite, too). Great post, my friend!! this man is lucky to have you! Oh this is such a great post! I am always telling people how important good sleep is for hormone regulation. My sleep has been terrible lately, so it’s a rough cycle of stress and horrible sleep. I’ve been eating tons of cherries to try to help it naturally. I’ll have to try the above recipe! let me know if you try it! The herb is really useful. Whoooaaaaa I love how informative this post is! I always feel like I’m learning actually useful-to-me-science, hah! I’ll def. check out the adrenal supplement, and I used to eat cherries at night to sleep well. I don’t really need it, but Greg def. needs some better quality of sleep! Let me know if you try it for Greg! Who needs to go to school when I can just get my nutrition education from you!? 😉 I love using lavender before bed! Also having a little snack before seems to help these days! I love the focus on adrenals! So many people don’t even know what adrenals are, let alone how important it is that they are nourished and healthy! I’m going to have to give that drink recipe a try for sure. I’m already on top of the salt thing…being a salt lover, this was an easy one! Before going to bed I take a hefty dash of salt right on my tongue. This helps keep cortisol from rising while you’re trying to sleep. I definitely notice a difference when I don’t do this…I’m much more likely to wake up in the middle of the night. Wow! Tons of great stuff to think about. I always learn so much here. I don’t add salt to any of my food because I have high bp but I’m wondering if sea salt or pink salt interacts with my body differently. that’s a good question. I would try a little pink salt in the morning (1/4tsp) and see how that affects you. Thank you so much for another great post. I learn so much over here! Lately I’ve been running on overdrive and my heart is just racing when I go to bed. I need to write this down and try to find these items. Mmmm, that shake looks so good! I make sure my night time routine is the same every night. Typically Marc and I have tea time to wind down, it definitely helps! Need to try the salt thing, so interesting! it’s crazy how important salt is. We realized ever since we ate more real foods and less processed that we were not getting any salt! So the past few months we add 1/2 tsp to just about all of our meals and love it!! I found this post incredibly informative. Thanks for sharing!! It is much appreciated. This recipe looks delicious! I do have one question; wouldn’t Cocoa be counter intuitive to sleep due to the caffeine content and stimulating effect? Curious to hear your thoughts. it works together with the serotonin in the cherries to create balance for sleep, hormonally. Great question! Thanks for your feedback! This drink (in particular) really helped with our sleep but you are so right, everyone is so different with their circadian rhythms and hormones when it comes to adrenals fatigue. I will make note of this, for sure!